“A mix of styles, periods, and colours is the principal trend today,” says Claude Cartier. “A ‘total look’ is to be avoided at all costs! What’s in fashion is green in all its manifestations, from mint to khaki – I’ve used this colour extensively in my latest projects. Diverse shades of green plus yellow and deep blue constitute the colour palette that is easiest to live with. Objects which are overblown or strident have no place in today’s fashionable interior. 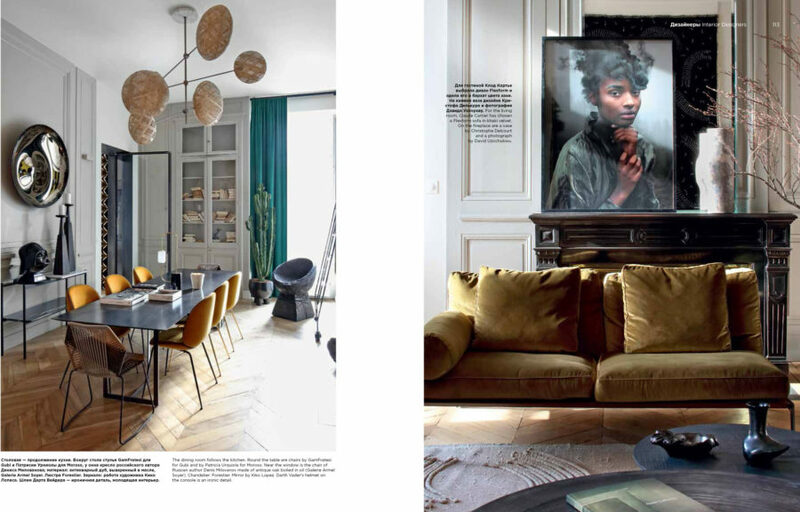 What guarantees contemporary luxury is a decorator’s finesse in working with textures, colours, and ornaments.” Energetic and entrepreneurial, Claude Cartier is one of the best-known interior decorators in Lyon. 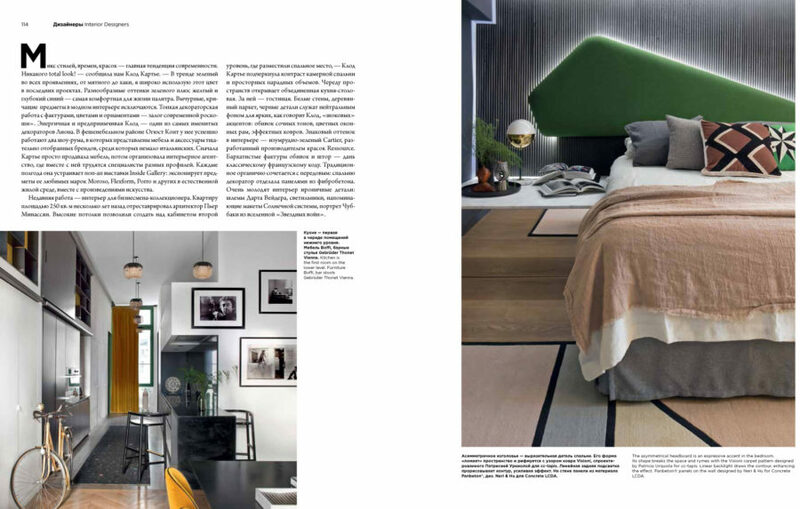 In the city’s fashionable Auguste Comte district she has two successful showrooms displaying furniture and accessories by carefully chosen brands, many of them from Italy. After an initial period spent simply selling furniture, she set up an interior-design agency where she has specialists in different fields working alongside her. 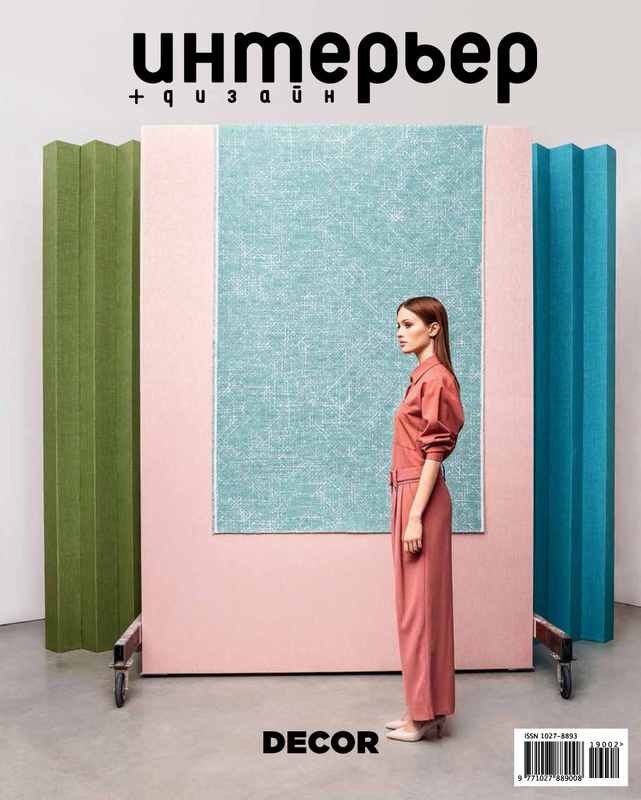 Every six months, she organizes pop-up exhibitions under the title ‘Inside Gallery’; here she exhibits objects by her favourite brands – including Moroso, Flexform, and Porro – in a natural living environment, accompanied by works of art. She has recently completed a home for an art-collecting businessman. The 250-square-metre apartment was restored several years ago by architect Pierre Minassian. The tall ceilings made it possible to create a second level above the study – the ideal place for an additional sleeping area, its intimacy contrasting with the spaciousness of the main rooms. The series of spaces kicks off with a combined kitchen and dining room. Next comes the living room. 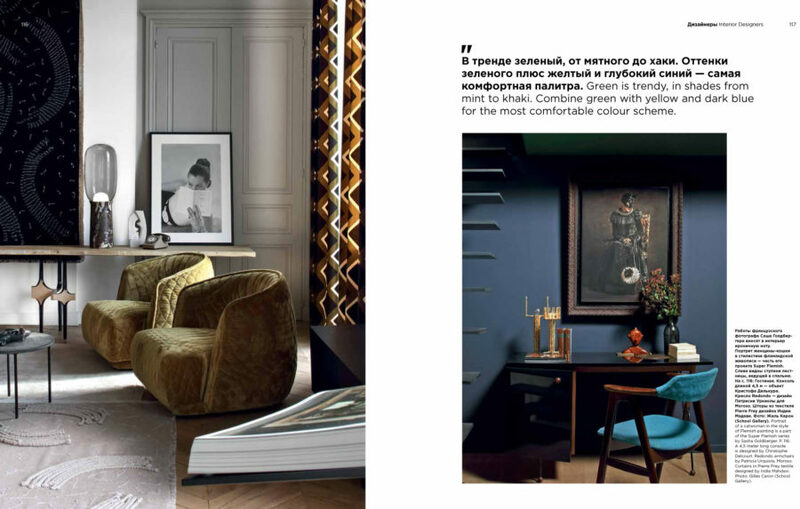 The white walls, parquet floors, and black details serve as a neutral background for accents which are bright and, as Claude herself says, ‘shocking’ – such as upholstery in succulent colours, coloured window frames, and striking rugs. 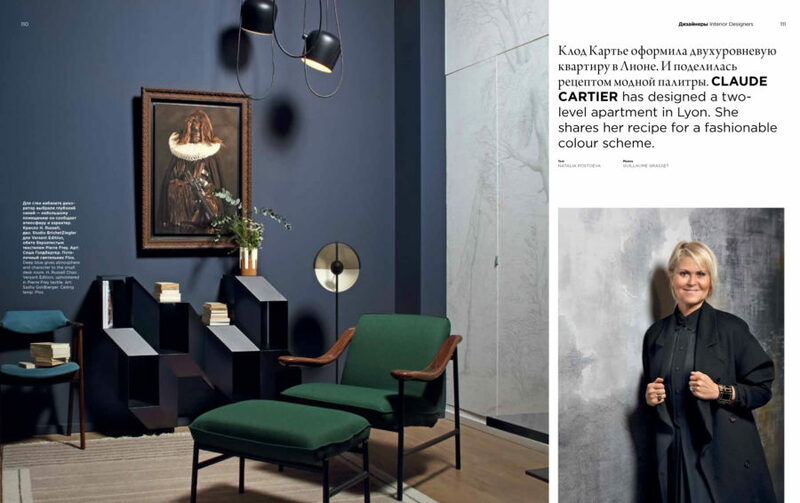 An emblematic feature is the emerald-green colour (‘Cartier’), which was developed by the paint-manufacturer Ressource. The velvety textures of the upholstery and curtains are a nod to classic French decoration. Traditional goes hand in hand with progressive: the bedroom is lined with panels of fibre-reinforced concrete. And youthful energy is injected by ironic details including Darth Vader helmets, lights resembling models of the solar system, and a portrait of Chewbacca from Star Wars.